Moisture is a devastating enemy to your home, but a proper gutter installation and maintenance can protect it from water damage. 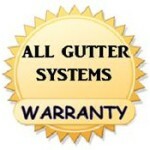 We use the very best materials when installing your gutter system. 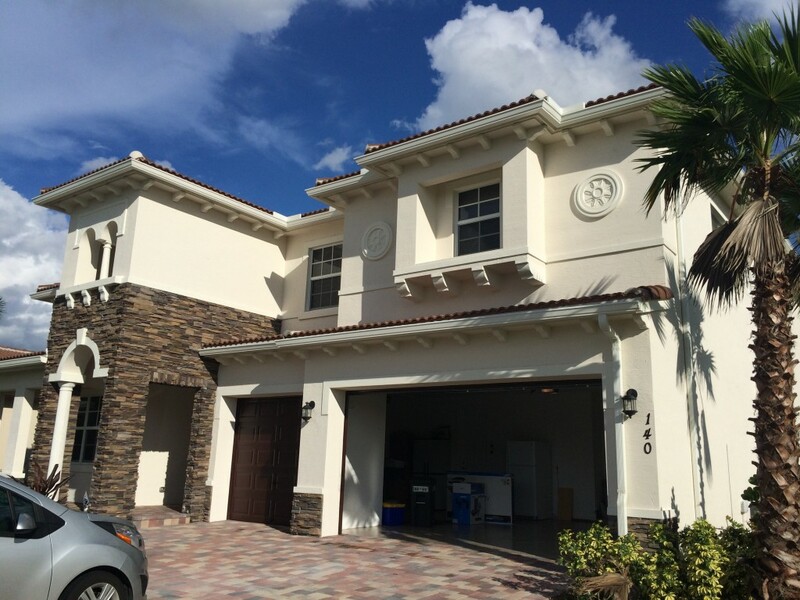 These include .032 gauge aluminum rain gutters, 3 x 4 inch aluminum downspouts (gutter drains), hidden gutter hangers, fascia wedges, and our top-of-the-line sealant – Geocel. 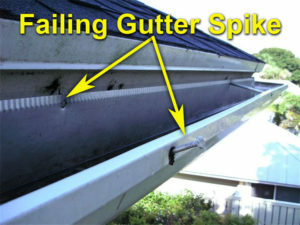 We DO NOT install any of our gutters with Gutter Spikes. 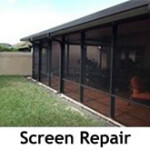 They do not anchor into your home properly and are well known for falling out. 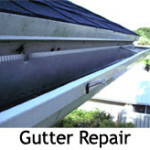 Our seamless gutters are made on-site at your home. 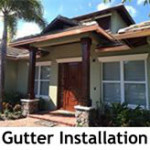 The whole process is fairly simple and on most homes in Palm Beach County seamless gutters can be installed in just one day. 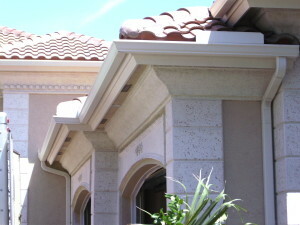 If you would like to get a firsthand look at one of our recent gutter installations, contact us at any time! Or CLICK HERE to view a galley of our work.